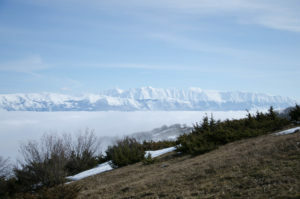 This project aims at the environmental recovery of wildlife connection areas between national parks in order to promote an increase of biodiversity and the presence of Marsican bears in new suitable lands outside their core area, which is insufficient to guarantee the long-term preservation of a bear population larger than 50-60 individuals solely within its borders. In 2016, Patagonia & Tides granted this project with 6,000 USD. Habitat fragmentation is a worldwide threat for the loss of biodiversity. Considering the great impact of infrastructures on its home range and distribution, mitigation of habitat fragmentation and recovery of wildlife corridors becomes a crucial conservation measure to prevent the extinction of the Marsican brown bear (Ursus arctos marsicanus, Altobello 1921), which numbers a population of only 50-60 individuals, by genetic drift or random events such as a disease outbreak. Zoologists believe that the future of this small population lies on its capacity to reclaim areas of historic distribution from where the species disappeared in the last hundred years because of the impact with human activities, especially hunting and farming. Their movements from the core area – the Abruzzo, Lazio and Molise National Park (ALMNP) – are limited to few individuals, mainly males. Only the creation of a new population outside the ALMNP can give the Marsican brown bear more chances to persist. It is what is slowly happening in the Majella National Park (MNP), where in 2014 the park biologists observed a female with two cubs, and in the areas between the MNP and the ALMNP and between the Sirente Velino Regional Park (SVRP) and the Gran Sasso and Laga Mountains National Park (GSLMNP). Our proposal intends to support this natural process by recovering some areas of habitats connecting wildlife populations. In fact, the conservation of the remaining population of the Marsican brown bear depends on the preservation of its natural environment and the availability of food sources. Fruit is more than 80% of the bear’s diet. That is why we want to trim fruit trees in order to increase their production and provide food sources to bears and other wildlife species, and promote their persistence in areas of passage or recolonization. As well, we need to guarantee their safe passage by recovering two underpasses already identified under State Road 17, crossing the wildlife connection area between the ALMNP and the MNP. Actions A3 (Connection areas) and A4 (Areas of new presence) of LIFE project “ARCTOS” and those of PATOM (Action Plan for the Protection of the Marsican Bear), and a recent study conducted by the Italian Ministry of Environment highlighted the importance of wildlife connection areas for the future of the bear. Especially the corridors between the ALMNP and the Sirente Velino Regional Park (SVRP), and the corridor between the ALMNP and the MNP are fundamental for the dynamics of the bear population outside its core area. 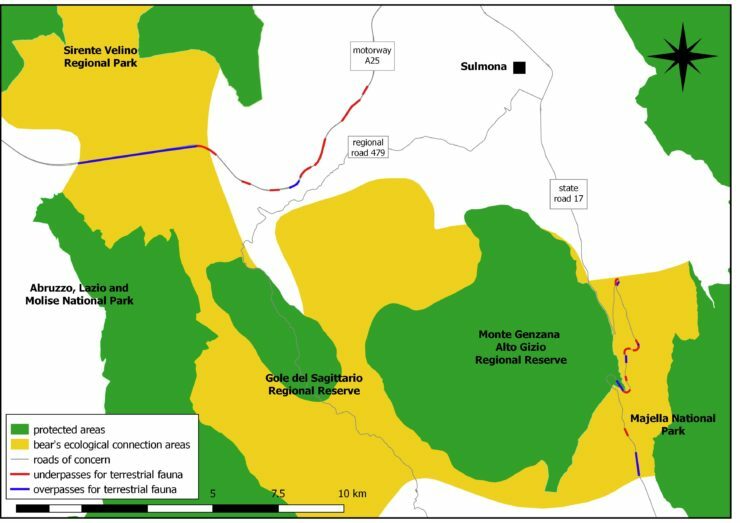 Area of intervention 2 – The green corridor of Pettorano sul Gizio and Rocca Pia, between the ALMNP and the MNP, to facilitate bio-permeability in an area crossed by State Road 17. Preserve Marsican brown bears by supporting their natural expansion to peripheral areas of their home range through the recovery of wildlife corridors affected by some environmental criticalities, such as infrastructures, human disturbance and lack of food sources. Enhance the quality of the habitat and the production of wild or abandoned fruit trees in areas historically frequented by the Marsican brown bear in order to increase their presence outside national parks, and promote the growth of their population. In fact, scientists demonstrated that the reproductive success of a species is strictly dependent on the availability of food sources. Recover and maintain two underpasses, which are fundamental to guarantee safe wildlife passages across State Road 17 in the municipalities of Pettorano sul Gizio and Rocca Pia. Monitor the presence of bears through distant observation by binoculars or setting trail cameras. This action is fundamental to measure the project effectiveness and to collect genetic samples (in agreement with protected areas’ authorities) and evidences of the bear population trends outside National Parks, and it is a part of the guidelines (Action D2) of PATOM. The last but not the least goal is to recover a positive relationship man-bear-land through the rediscovery of abandoned orchards or native cultivars, which are the leftovers of the agricultural traditions of the place. The loss of this heritage has led to the current nature and cultural deficit in local people, which the state of neglect of these past cultivations perfectly shows. Recovering them is a way to make the people aware of the intimate relationship man-nature of which the persistence of the Marsican bear is the highest expression. 1 year start up (November 2016 – November 2017), with Salviamo l’Orso in-kind extension to following years. In 2014-2015, Salviamo l’Orso identified the wildlife corridors, the abandoned fruit trees to trim, and the underpasses to recover in two areas of intervention. Fruit trees trimming took place in autumn (October-November 2016) and spring (March-April 2017, before blossom), directed to these species: Malus sylvatica, Pyrus pyraster, Prunus mahaleb, Prunus avium, Sorbus aria, Sorbus domestica, Sorbus aucuparia, Ribes uva-crispa, Rubus idaea, Rosa canina, Cornus mas, Rhamnus alpine. Underpasses recovery took two days (one in the summer and one in autumn), when clearing hindering vegetation and waste is more necessary. 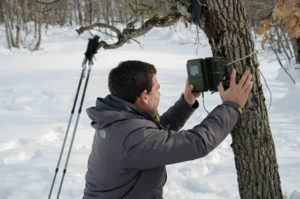 Salviamo l’Orso implemented the monitoring activities year round, focusing on September-October, when bears are more active because they need to fatten before dormancy (hyperphagia), and May-June when they leave their den. All data collected, and duly reported to Patagonia & Tides and on Salviamo l’Orso website, have contributed to measure the project effectiveness. Meetings with local people to spread environmental and heritage awareness took place in 2017 and will be in the future, in weekends or school time for children. USD 6,000 from Patagonia & Tides Foundation. Altobello, G. (1921). Mammiferi IV – Carnivori. 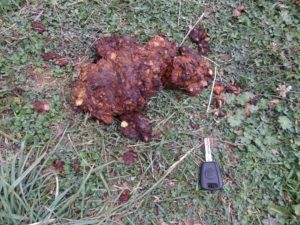 In: Fauna dell’Abruzzo e del Molise Mammiferi. Colitti, Campobasso, Italy. AA. VV. (2011). 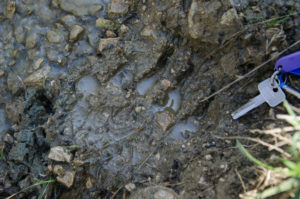 Piano d’azione Nazionale per la tutela dell’Orso bruno marsicano – PATOM. Quaderni di Conservazione della Natura, 37. Ministero dell’Ambiente – ISPRA. Ciucci P., L. Maiorano, L. Chiaverini, M. Falco. (2016). Aggiornamento della cartografia di riferimento del PATOM su presenza e distribuzione potenziale dell’orso bruno marsicano nell’Appennino centrale. Azione A2: Relazione tecnica finale. Ministero dell’Ambiente e della Tutela del Territorio e del Mare e Unione Zoologica Italiana, Roma. 84 pp. Ciucci, P., Boitani, L. (2008). The Apennine brown bear: a critical review of its status and conservation problems. Ursus, 19(2), 130-145. Loy, A., Genov, P., Galfo, M., Jacobone, M. G., Vigna Taglianti, A. (2008). Cranial morphometrics of the Apennine brown bear (Ursus arctos marsicanus) and preliminary notes on the relationships with other Southern European populations. Italian Journal of Zoology, 75(1), 67-75. Rondinini, C., Battistoni, A., Peronace, V., Teofili, C. (2013). Lista Rossa IUCN dei Vertebrati Italiani. Comitato Italiano IUCN e Ministero dell’Ambiente e della Tutela del Territorio e del Mare, Roma, 56. Download here the report of the activities. 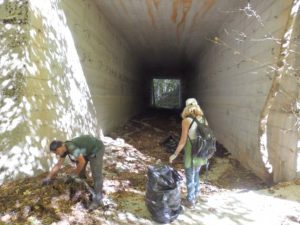 In 2018, Cedric Rocholl, a German volunteer for Salviamo l’Orso, studied the wildlife usage of two underpasses and two overpasses along SS17 in the area between Pettorano sul Gizio and Rocca Pia. His study is available at this LINK.